In my dream you brought me fried bologna sandwiches. I wolfed them down without answering. that’s asking for trouble, I knew. I said before wandering further. I was obtaining samples for my botany class. How many daisies make a statistic? that allowed Hades passage. Which flower? cottage, it was dark, and there was an old woman. I volunteered to take her to get her hair done. and also whether I could wear her fur coat. she said. Oh grandmother, what a big mouth you have. 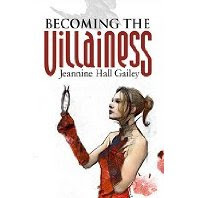 I recently had an opportunity to interview Jeannine Hall Gailey, author of Becoming the Villainess, in conjunction with 32 Poems. The interview will be partially posted at Savvy Verse & Wit and in full at 32 Poems Blog. Without further ado, here’s what Jeannine had to say. 1. Not only are you a contributor to 32 Poems, you teach at National University’s MFA program, have published several poetry books, and volunteer on the editorial staff at Crab Creek Review. What “hat” do you find most difficult to wear and why? I found out that despite years of resisting it, I actually adore teaching, especially teaching poetry, so I feel really lucky to be doing a little bit of graduate student teaching at National University. For me, writing and reading poetry can consume all my time, so it’s important to balance out the poetry work with paying freelance gigs and volunteering – I’ve been a volunteer in some capacity for local literary magazines for about ten years, first with Raven Chronicles, then The Seattle Review, then Silk Road (out of Pacific University) and now Crab Creek Review, which is run by some excellent editors that are also good friends. I really want to help them succeed. My hardest hat to wear is usually whatever I’m doing for money – it’s easy to get distracted by all that unpaid poetry work! I’ve been trying to do more freelance work that involves poetry – essays, interviews, articles, etc. – to kind of stave off that poetry-addict problem. 2. Could you explain your shift from an interest in biology as an undergrad to your current proclivity to literature and poetry today as an MFA graduate? Well, I wanted to be a holistic doctor – a bit of a weird goal for someone back in 1991 — but I ended up getting sick so often while volunteering for various hospitals around campus that my doctor advised me that medicine might not be an ideal career for me. So my health problems led to me become a technical writer after getting my degree in biology, combining my love of writing and science/technology, then to life as a professional writer, editor, and manager for some big companies during the tech boom, and finally to getting back to one of my early dreams – writing poetry. As a kid my mother encouraged me to read and memorize poetry, and my fifth-grade teacher had me bring in new poems every day, to get me in the habit of writing and revising poetry. So I think I reverted to my early training in my late twenties, and ended up going back to school – first, for an MA at University of Cincinnati, then, some years later, for my low-res MFA at Pacific University. I was fascinated by the critical work at UC, where I found out about things like “feminism” and “intertextuality” but I have to say my experience at Pacific was much more liberating and, well, it was a lot of fun to focus on my own writing for two years. I’m still very interested in environmental science, and things like the science of virology or medical botany. I still read a lot of academic science journals just for kicks. Science creeps into my poetry every once in a while. 3. Poetry is often considered elitist or inaccessible by mainstream readers. Do poets have an obligation to dispel that myth and how do you think it could be accomplished? I think that people who consider poetry elitist or difficult just haven’t been exposed to enough poetry. People often encounter poetry once, in high school – and form their opinion for life – probably from a sample of high modernism or poetry written hundreds of years ago; no wonder they consider it difficult! 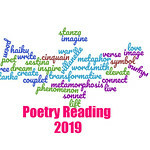 In today’s poetry world, there are so many diverse forms and types of poetry, that there really is something for everyone. In my chapbook and first book, I worked consciously to write poetry that would be appealing and accessible to a contemporary high-school or college student – I thought poetry about superheroes and video game characters might be interesting to them. Of course, there are references to Greek and Roman mythology and 16th-century fairy tales in the book too, so I guess I couldn’t make it all too easy. I think I was using my little brother as my “ideal” reader – someone who is intelligent, who grew up playing on the computer, who was well-versed in popular culture, who was a reader, but might not pick up a book of poetry unless he liked the subject matter. And, I should also say that when my little brother was 17 and a bit of a…hoodlum, I dragged him and some of his friends to a Louise Gluck reading – this was back when she was promoting Meadowlands. There we were in the back of the room, this bunch of teenage boys dressed in black and me. But they loved it. My brother still has her book. So you can never assume that you know what a reader might understand or enjoy. I believe we should trust readers more, not less. I wouldn’t prescribe that all writers should try and be “accessible;” I actually like poetry that makes me work a little bit, hunting down references or making imaginative cognitive jumps. Every writer has to stay true to their own style. 4. What current projects are you working on and would you like to share some details with the readers? I’m working on finding a good home for two manuscripts, one on Japanese folk tales and anime characters, another called “Unexplained Fevers” about fairy tales trapped in sleep states – Sleeping Beauty, Snow White, and Rapunzel. And I’m working on yet another manuscript that focuses on the history of Oak Ridge, Tennessee and my own personal history growing up there: my father, a robotics scientist and professor, consulted for Oak Ridge National Labs while we lived there. It’s probably the most personal work I’ve written. I’d also like to get more involved in the local poetry community here in San Diego. It’s not quite as diverse or lively as the poetry community in Seattle, but I want to be an active part of it in some way. Someday, when I have enough money and time, I’d like to start my own press. If you’ve enjoyed Jeannine’s answers so far, I suggest you check out the rest of my interview with her over at 32 Poems Blog. Once there, you can find out about her workspace, her obsessions, and much more. Feel free to leave me comments and discuss Jeannine’s work (sampled above), her interview, or your thoughts on poetry in general. Also, stay tuned for my review of Becoming the Villainess. Jeannine Hall Gailey was born at Yale New Haven Hospital in Connecticut, and grew up in Knoxville, Tennessee. She has a B.S. in Biology and an M.A. in English from the University of Cincinnati, as well as an M.F.A. in Creative Writing from Pacific University. Her first book of poetry, Becoming the Villainess, was published by Steel Toe Books in 2006. Poems from the book were featured on NPR’s The Writer’s Almanac and on Verse Daily; two were included in 2007’s The Year’s Best Fantasy and Horror. She recently taught with the Young Artist Project at Centrum. In 2007 she received a Washington State Artist Trust GAP Grant and a Dorothy Sargent Rosenberg Poetry Prize. She volunteers as an editorial consultant for Crab Creek Review, writes book reviews, and teaches at National University’s MFA Program.